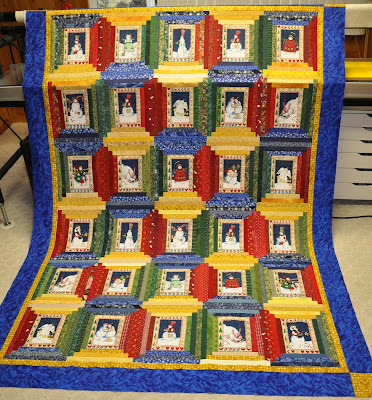 This entry was posted in 11'n'11, christmas quilt, flimsy, snowman courthouse steps by Norma Hanson. Bookmark the permalink. WOOHOO! a finish. Hurray for you, Norma. I love the blue and the gold cornerstone carries that color out to the edges very nicely! nicely done! congrats on your first 11 in 11. Love it! Love it! Love it! too too too cute! 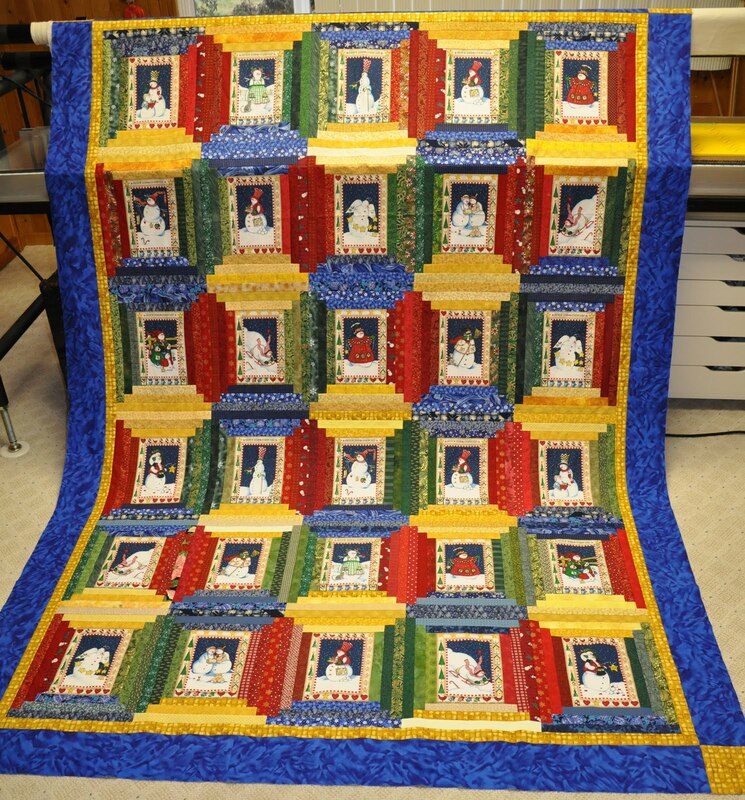 What an awesome quilt!! I love those bright colors…and the snowmen are adorable!